Elegantly crafted from 14ct Strawberry Gold, this delightful mixberry ring by Le Vian features a selection of shining spinel stones, in pretty pink, purple and beautiful blue. Dazzling dainty vanilla diamonds offer an extra classic touch of sparkle, set as shimmering halos. 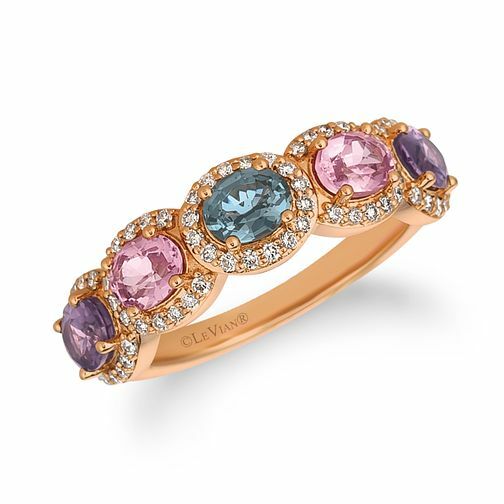 A marvellous multi-colour Le Vian ring made with style and sophistication in mind.Please note colours may vary.